Once you have had your flyers designed and printed there is only one thing left to do. 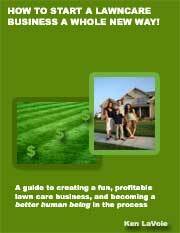 You have to get them out there in front of the eyes of people looking for lawn care services. You have to let them work their magic! It usually takes a number of views before an advertisement sinks into a consumer's mind. For this reason it is foolish to run campaigns only once. Rather, you should be trying to hit people again and again with the same message. Try a variety of distribution methods for maximum exposure and to find out what works. There are many ways that you can distribute lawn care flyers. I go through a number of common methods below and offer tips and advice on each method. While going door to door distributing flyers can still work well you must check first with your local post office about what is acceptable as some areas have ordinances regulating unsolicited mail. In some countries and areas it is illegal to put promotional materials in mail boxes. Sometimes families will have a newspaper holder box attached to their mailbox, a fence or the side of a wall. You may get away with slipping your flyers in these boxes if it is not windy or raining. Door hangers could be a better option. They are just like small flyers with a hole cut into them so that they can easily be slipped over the handle of the prospects front door. Don't leave flyers on people's doorsteps or anywhere on the ground as this won't help you to gain respect in your community. Be sure to look into the legalities of door hangers in your area before you go ahead. Handing flyers directly to prospects in person can be effective. Look for people who are out on their lawns or in their gardens and strike up a conversation with them. 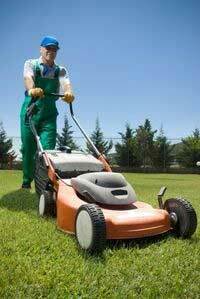 Hand them a flyer and mention your lawn care business if things go well. Your flyers will stand a better chance of actually being read if you give them a personal introduction. Give each of your existing customers a few flyers and ask them to pass them on to friends and family if they have been satisfied with your lawn care service. Let them know that you are trying to expand your business and would really appreciate it if they wouldn't mind mentioning you to people that they know with lawns. 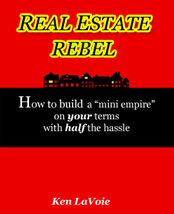 If you know the client quite well and you are not too pushy with the way you do it then this approach can work wonders. For a fee you may be able to have your flyers slipped inside a newspaper, magazine or other local publication. Many local newspapers offer this service to businesses. It may not be cheap but it is an effective way of getting your flyers into local homes. This method can provide better exposure than a printed advertisement inside one of these publications would. There are places that will let you post your lawn mowing business flyers for free. By putting flyers on community notice boards outside libraries, schools, churches and any organizations that you may belong to, you help to add to your exposure. Just ask for permission before you place your flyer. Don't take down or obstruct anyone else's business flyer to get better positioning for your own unless their offer has expired. If you build up a relationship with anyone else in business you could ask their permission to leave your flyers at their premises. The best places to leave them are places where people are sitting around waiting for a while with not much to do. Think hair salons, doctor's waiting rooms, laundromats, fast food restaurants and cafes. Let's face it; flyers are fairly boring to most people. They are more likely to read one when they are bored than when they are busy. Consider placing some of your flyers under the windscreen wipers of cars that are parked on the street or in parking lots in your area. Proceed cautiously here though as this practice is frowned upon in some areas and may even be illegal. You may be held liable if your flyers end up scattered all over the street. Any time there is an event in your area that will be attended by a decent number of people you have an opportunity to distribute some of your flyers. You may have to ask permission before you do so and in some cases you may have to pay for the right to promote your business. Join forces with other local service businesses and promote multiple businesses on the same flyer. If each business that is involved puts in the same effort into distributing them then your exposure will be much greater (even if it is diluted down a little be sharing the space with other companies). One of the more legitimate ways of getting your lawn care business flyers out to households inside your target area is to send them via mail. Costs can get a little high as you have to pay postage for each one but at least this method is legal and professional. If you want to target only certain kinds of households over a fairly large area you could look at purchasing a mailing list. Many online printing companies will arrange to mail out your flyers to a database of qualified prospects directly from the printing press.